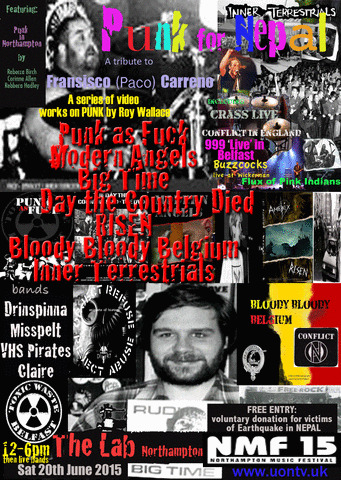 Wallace, R. (2015) Punk for Nepal: a series of video works. Exhibit at: Northampton Music Festival. Northampton, 20 June 2015. Exhibition of video works as part of the Northampton Music Festival 2015.